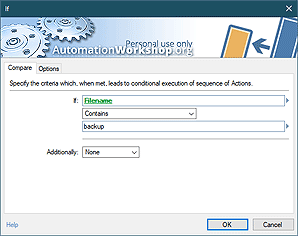 Automation Workshop Free Edition includes free registry tools that can perform all essential registry manipulations in fully automated manner. 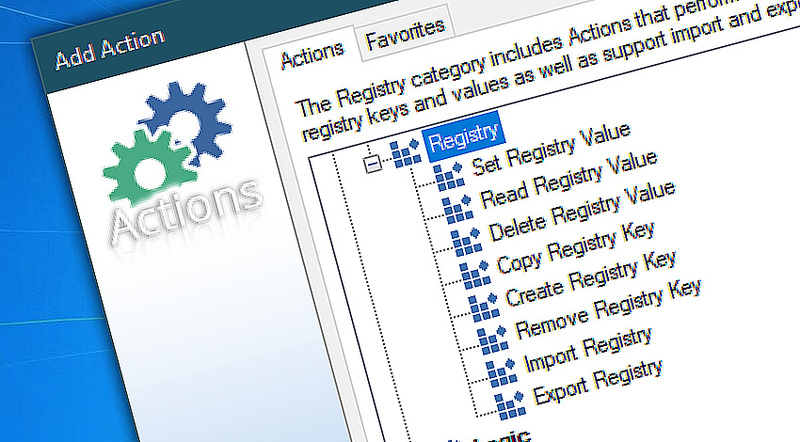 Registry Actions can create, modify, read or delete registry values and create, copy, remove registry keys. Registry import and export Actions are also provided. Many of these Actions feature the Registry Browser interface that allow user to locate necessary registry key or value without manually typing its path into input line. Set registry value can automatically create or modify a registry value. It supports multiple registry value types such as DWORD 32-bit, DWORD 64-bit, Binary, String, Multi-String, Expandable String and none. Read registry value retrieves a value from Windows registry and puts it into dynamic variable. The registry value can be accessed via Variable Wizard from the following Action. Delete registry value allows automatic deletion of specified registry value. Copy registry key allows copying of specified registry key from one registry branch to another. The key is copied with all its value names and values. Create registry key automatically creates keys in specified Windows registry location. Remove registry key removes registry key with all its contents. Import registry allows importing registry data from file directly into the Windows registry. When used in pair with Export registry Action, allows to backup and restore necessary settings. Export registry allows to save entire registry branches to file for backup or other purposes. Set registry value · created or modifies a Windows registry value. Read registry value · retrieves registry value. Delete registry value · erases a value from registry. Copy registry key · copies a registry key with all its values. Create registry key · creates a new key in registry. Remove registry key · deletes a key from registry. Import registry · imports a segment of registry from file. Export registry · saves specified part of registry in a file.